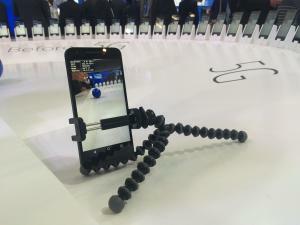 Titled “5G: A Transformative Technology”, the report outlines a number of ways in which 5G services could improve the UK, from facilitating the development of new technologies such as AI, robotics and even self-driving cars, to heightening business and customer activity alike to ensure billions of pounds in profit. The UK Government is supporting network providers in their push to introduce 5G across the country as part of its Industrial Strategy incentive, providing an investment of £1 billion to put towards the development of digital infrastructure. Despite the popular reception of such networks, the report revealed that only 39 per cent of industry leaders were familiar with the technology itself and how it could potentially boost their own business. Furthermore, only a meagre 15 per cent had even considered how to include 5G in their long-term business structures. Head of TMT at Barclays, Sean Duffy, said: “The rollout of 5G offers a huge opportunity to the UK. We’re seeing massive potential for business growth, which ultimately delivers a positive knock-on effect for the whole economy.